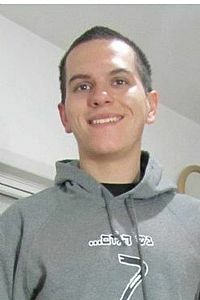 About myself: I lived in the US for a couple of years around Middle School, at one of the best schools in the country; thus, I was exposed to a very positive learning experience – leading me after my return to Israel always to look for good opportunities to enjoy my studies and recreate that experience. This search led me in all kinds of crazy directions, and eventually I ended up here! I served in an IDF Navy Radar R&D unit, and am now in my fourth year of a double-degree in physics & applied mathematics. When did you start the program: Winter 2012. Main academic interests: Optics, general relativity, metamaterials, machine learning and other methods of data science, complex systems, and always open for learning other interesting fields! Other interests: Martial arts, japanese history and culture, philosophy (western), hiking and jogging, and you can always catch me with a good book nearby!